Description: Are you interested in learning to blacksmith? Here is your opportunity! Seasoned Charlton Park blacksmith, James Tyler, will teach a workshop on Saturday, November 29, from noon-4 pm. Students will learn the basics of blacksmithing and make a roasting fork of their own. Cost to participate is $15, non-refundable. There is room for a maximum of 8 participants, and all minors must be accompanied by an parent/guardian at all times. Please wear natural fiber clothing and no jewelry, leather topped enclosed shoes, and please bring safety glasses. Blacksmithing is a inherantly dangerous activity and all participants will fill out a volunteer application prior to beginning. 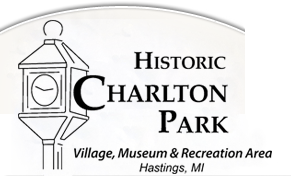 Please contact the Park office with questions or concerns: info@charltonpark.org or 269-945-3775. This form stopped accepting submissions on November 27, 2014 12:00 pm EST.